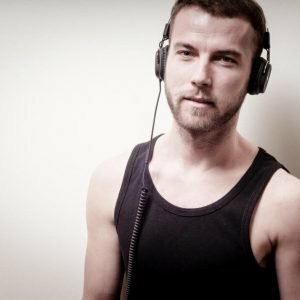 Phantom Noise In Ears – Is It Because Of Your Headphones? Do you hear an inexorable sound of ringing, hissing, or buzzing in your ear even though there’s no external source? 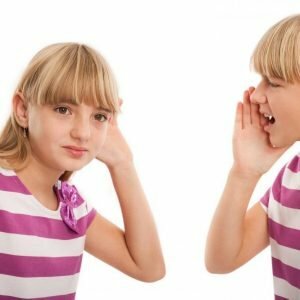 – Tinnitus Alert! It may occur for some minutes or a much longer period of time. Tinnitus isn’t a disease itself but a symptom of an underlying problem in your ear. It is when you perceive noise or ringing in ears due to an ear injury, problematic nerves or circulatory disorder. Phantom noise or tinnitus may be of two types, subjective or objective. First type is the most common problem occurring in the outer, middle or inner ear and can only be heard by the patient. Whereas, objective tinnitus is the one your doctor can hear during an examination. It occurs when a bone in the middle ear is damaged or a muscle has contracted, while subjective tinnitus is a result of some disruption in the nerves or a part of your brain. Could It Be Because Of Your Headphones? You might have ignored the message alert that pops up when you try turning the volume up wearing your headphones. Listening to loud music with headphones on definitely leads to hearing issues that may result in tinnitus. The volume of the music or any other audio must be put to blame for the constant ringing in your ear instead of the headphones. So, there’s no need to put all of your headphones right into the bin while you can avoid tinnitus by reducing the volume. The type of headphones may contribute to increased risk of ear damage, so choose them wisely. Those that are worn over the head are better than the ones that go deep into your ears. This is because the equivalent sound will hit your eardrums and thus, it will be less damaging. If wearing it over the head doesn’t work for you, go for those with loose fitting earbuds. These buds expose your ear to safer sound levels compared to the ones that snuggle deep inside. Instead of turning up the volume, use headphones that cancel down external noise. This way, you can experience uninterrupted listening without damaging your eardrums with loud music. Who Is At Risk Of Having Tinnitus? Experiencing hearing loss is natural in old age, especially when you cross your 50s. In the modern era where we’re exposed to loud noises more often, young adults are at higher risk of damaging their ears. Being involved in activities like attending concerts, working out in music blasting gyms or listening to loud music while working or even sleeping has made young adults more prone to structural damage of inner ear. The hair cells inside our ear regulate our hearing ability that can be damaged with loud noises. Attending events with loud noises may result in a shorter episode of tinnitus after you get yourself out of that place but the effects may last longer on the hair cells lined in your inner ear. These cells are prone to gradual damage, eventually leading to a bigger loss. What Are The Safe Levels Of Volume To Prevent Tinnitus? How loud you listen to music with headphones on isn’t the only factor for impaired hearing, but the frequency of exposure matters as well. According to the World Health Organization, listening at 85 decibels (dB) for more than 8 hours a day can be harmful to the health of your eardrum. A noise up to 100dB, most commonly prevalent in concerts, will take no longer than 15 minutes to do the job. Tinnitus can significantly affect the quality of life followed by a whole bunch of problems including depression, anxiety, stress, fatigue and memory issues. If you’re a musician or work in an industrial area with loud machines, and exposure to sound cannot be avoided, wearing hearing protection can come in handy. It may be hard to carry on with your tasks when outside forces impair your concentrating or focusing abilities. Limiting the exposure, frequency, and intensity of the sound can help you prevent hearing loss or short-term tinnitus. The symptoms should not be neglected and a timely consultation with an ENT must be arranged if the problem persists.